Since opening last November, the Reef Boutique has become a favorite place to shop for FSU students, and young women looking for trendy and affordable clothing and accessories. Whether it is a casual outfit or a more “dressier” event, we have you covered. Also, lots of garnet and gold items can be found to support the Noles. At the Reef Boutique, you can find skinny jeans on sale for $20 and sandals for as little as $12. The store’s huge assortment of current fashion includes maxi dresses and skirts, high waisted jean shorts, wide leg print pants, Piko crop tops, off the shoulder tops, cardigans, game day dresses and much more. Trends you’ll find in the store include shabby chic, preppy and the urban look. And you’ll want to check out the line of accessories, including bangle bracelets, bags and sandals. The best part? Almost everything in the Reef Boutique is priced under $48, according to manager Alden Purdy. And if you keep an eye on Reef Boutique’s Facebook, Twitter and Instagram accounts, you’ll know about all the promotions Alden comes up with every month, from $5 off tops to Deals of the Day. There’s also an ongoing Reef Reward program: Make 9 purchases of $10 or more, and you get 30% off your next purchase. See store for details! To really be on top of all the new fashion and deals, text REEF to 20673 to sign up for offers, giveaways and more. Watch for fun events at the store, like the Welcome Back to School Happy Hour where shoppers could munch on tiny cupcakes and spin a wheel to win prizes and discounts. Coming up: a Like/Share Facebook promotion for FSU’s 18 sororities. The sorority that gets the most likes/shares for Reef Boutique will get $100 for its favorite charity and 15% off at the store for each sorority member. 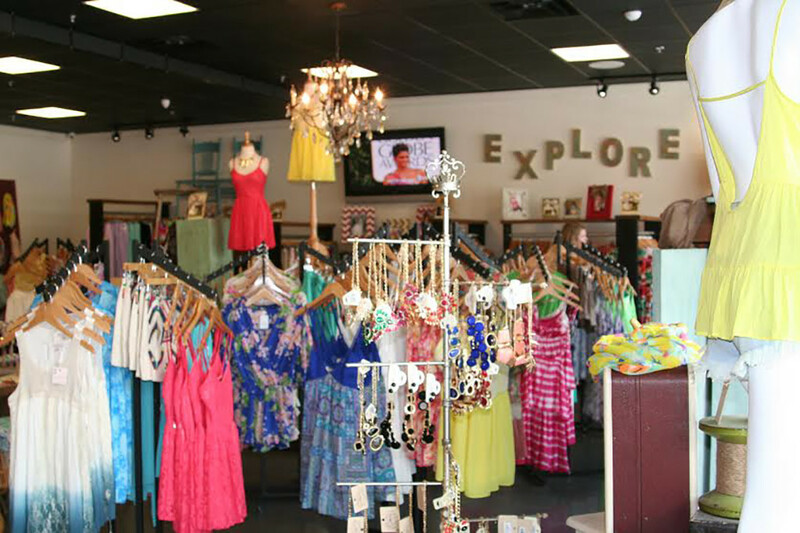 Reef Boutique’s location is just two blocks from FSU, right in the middle of all the action in the trendy College Town entertainment district. “We are about a football field from the football field,” Alden says. “There is always something going on in College Town. You can stay here all day and do breakfast, lunch and dinner.” It’s the place to be in Tallahassee and Reef Boutique is the place to shop in College Town. (850) 727-5758. It’s open from 10 am- 8 pm Monday-Friday, 8 am-6 pm on Saturday and 1 pm- 6 pm on Sundays.